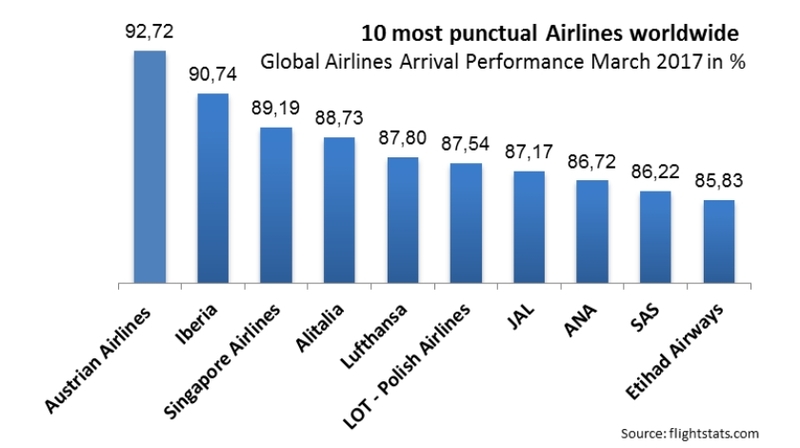 Austrian Airlines was the world’s most punctual airline in March 2017. This can be seen in the latest statistics from flightstats.com for global airlines. 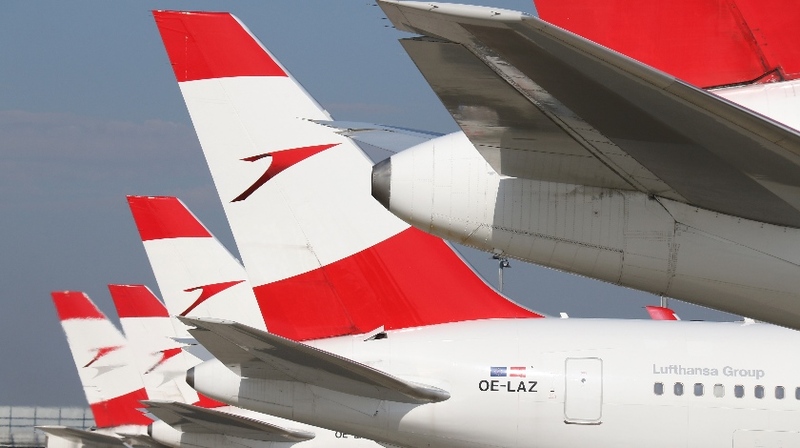 With an arrival on-time rate of 92.72%, Austrian Airlines was ahead of Spanish Iberia (90.74%) and Singapore Airlines (89.19%). Punctuality is measured in the airline industry with <15 minutes. This means that all flights within the 15-minute time window are considered as punctual. Alitalia (88.73%) was in fourth place, while Lufthansa ranked fifth (87.80%). The other placements were: Polish LOT (87.54%), Japanese JAL (87.17%), Japanese ANA (86.72%), Scandinavian SAS (86.22% ) and Arabian Etihad Airways (85.83%) on place ten.